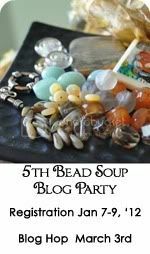 I volunteered to have two partners in the Bead Soup Blog Party in an effort to make myself have fun with this instead of feeling so stressed about it (as I did with my first partner). My second partner is Candice and she has a blog that's even newer than mine. It's here. Her original partner disappeared (so sad) so we made our swaps. First of all, let me just say that I had so much fun picking out beads for Candice. Because her blog is so new, I had not a single clue about what she's into or what she likes. So I just picked out things I like. That was fun. And a lesson learned. What I got was a very special package, with a really nice note from Candice. 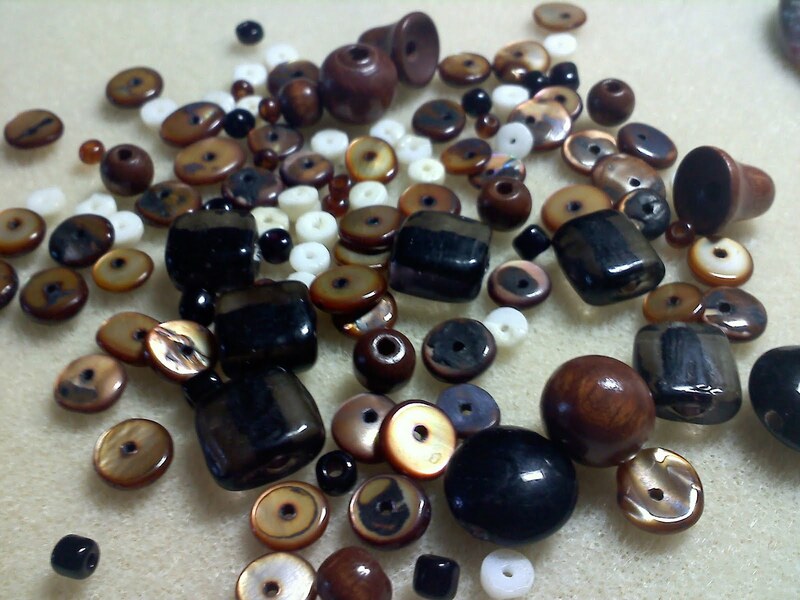 The beads, she said are old & new. Some are from her mom's broken jewelry (dating to the 1970s and 1980s). Her 3-yo son picked out the square beads. So cute! 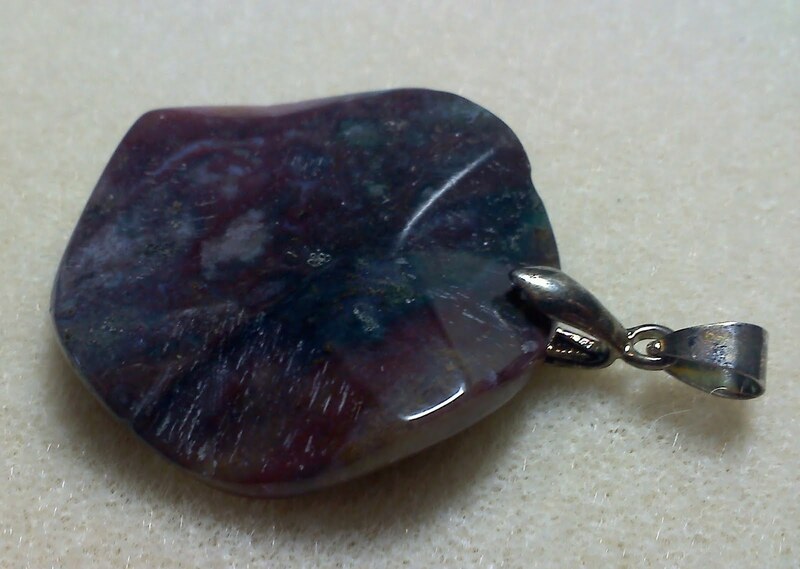 I don't know what stone the focal is but it has such depth with great color. I hope the photo lets you see it well enough. Lori said that because I have two partners, I can either make two items OR make one thing using the beads from both partners. I haven't made that decision yet. I guess you'll see on the Big Reveal Day! Can't wait to see what you make with those. Way to go putting yourself out there! So fun. 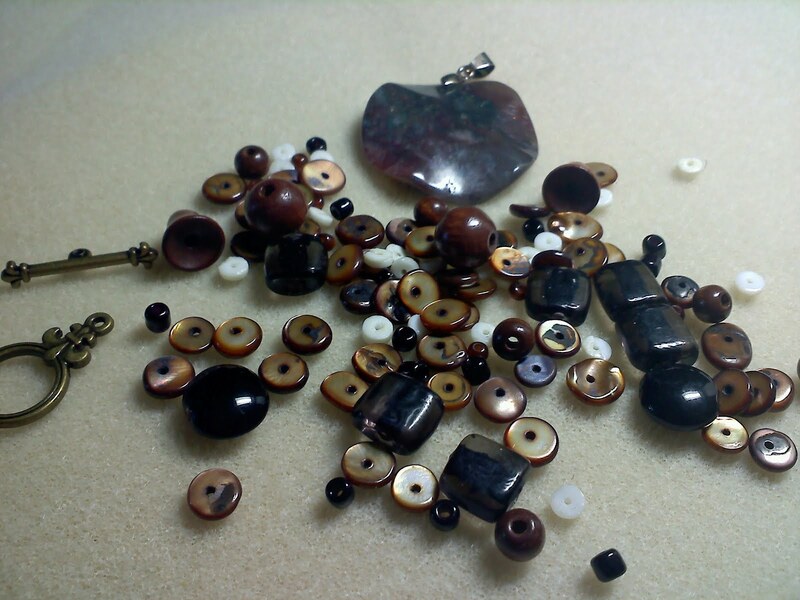 Those are my kind of colours all the rich browns and smolering darks. Beautiful Sally! It will be great to see what you do with your two Soups!! Hi Sally you have a lovely blog. Thank you for entering my bead book giveaway. Both soups lool interesting. Can't wait for your pieces! I hope you REALLY have a good time -- you're such a sweetie you deserve it!